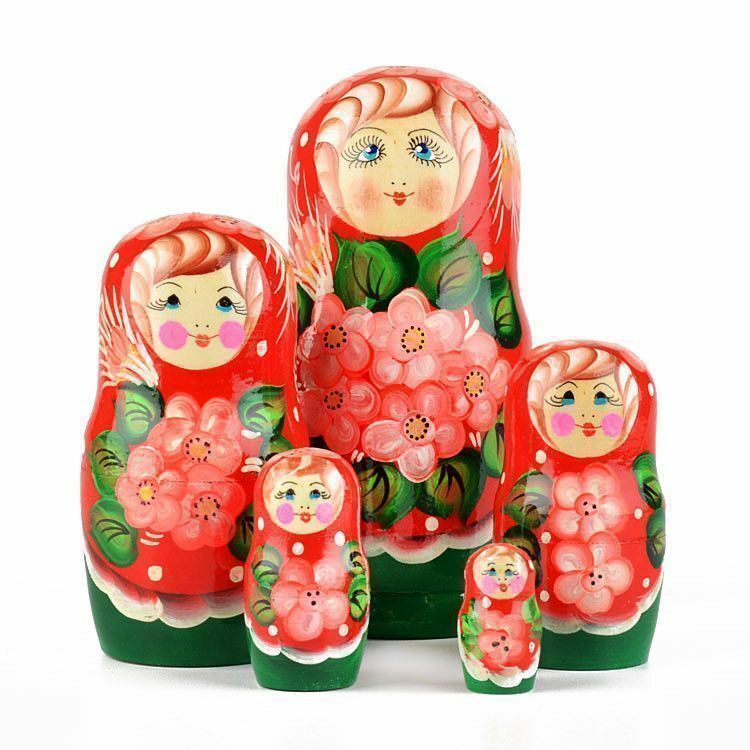 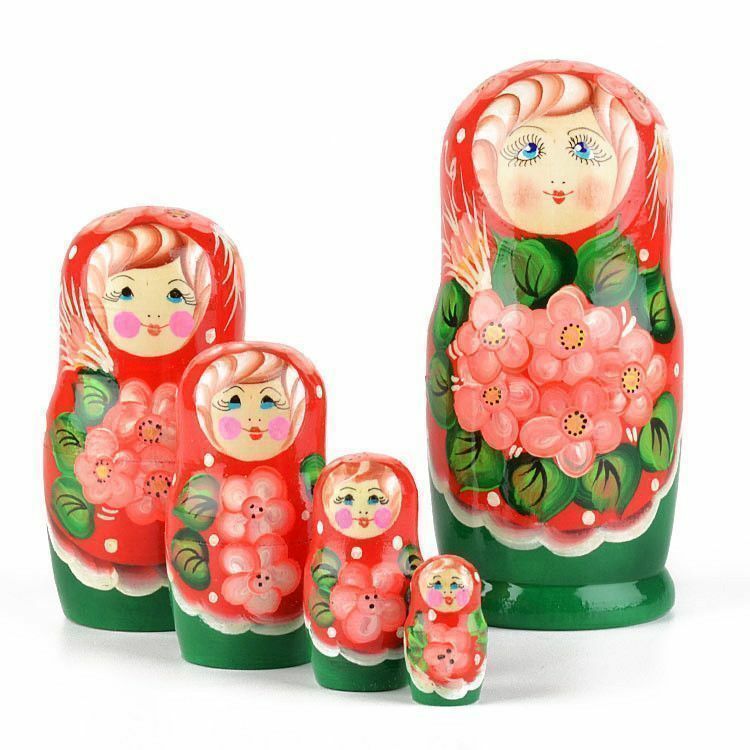 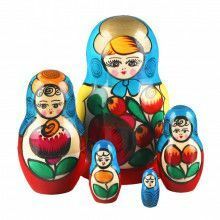 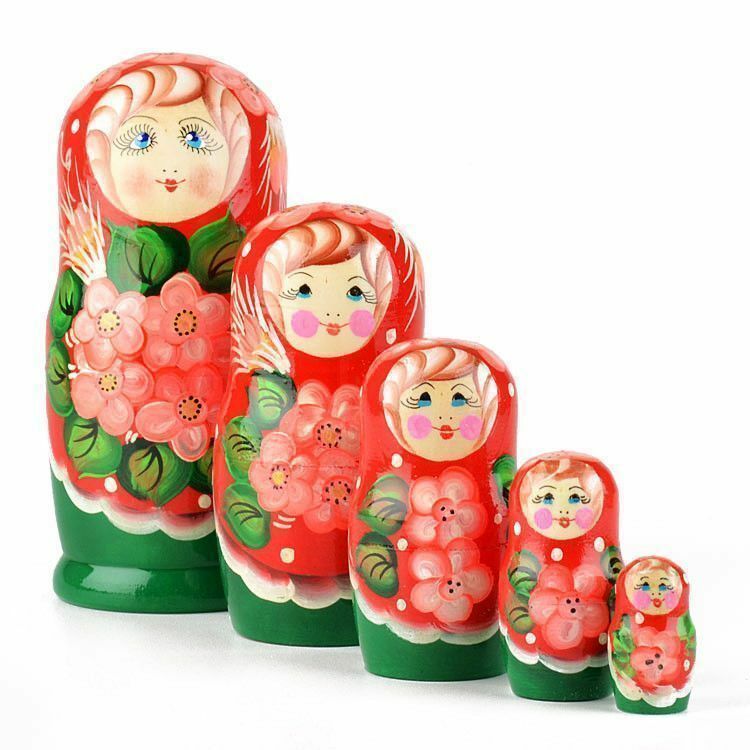 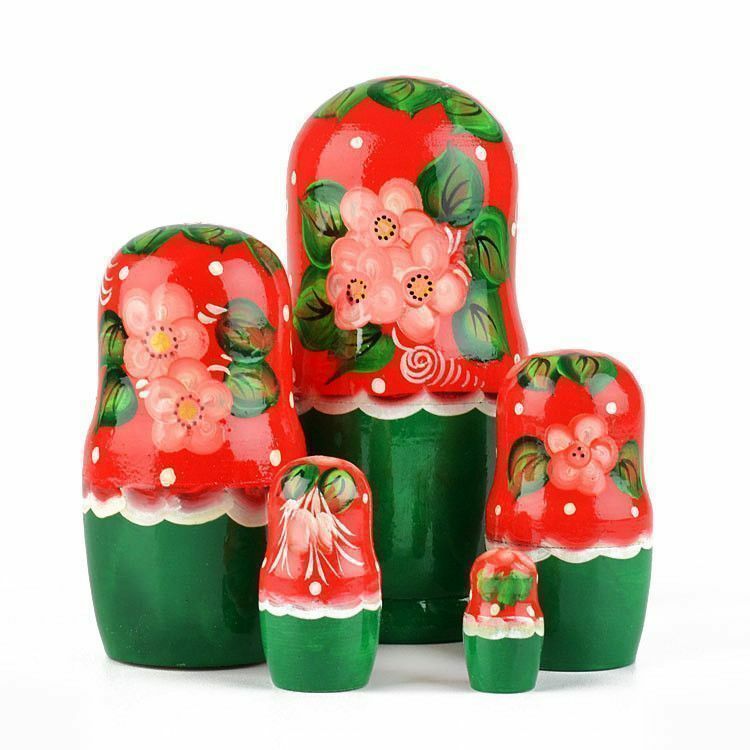 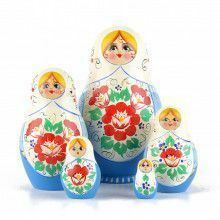 Featuring round pink flowers on all 5 dolls, this Russian matryoshka is ready to brighten you or someone you love's day! 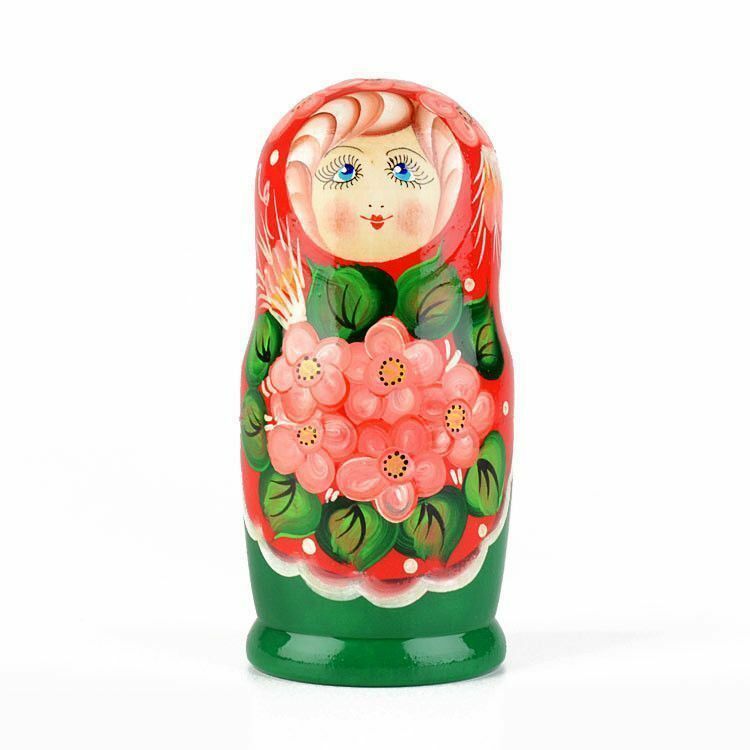 She is Approximately 5 3/4" tall, is gloss-finished, and displays red, green, and pink colors. 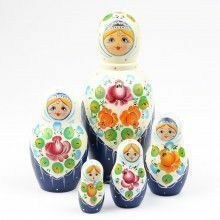 Completely hand-crafted from wood and hand-painted in Russia.